XXXII, 407 p., 3 ill., 15,5 x 21,0 cm. Edited by Pedro Álvarez Lázaro, Erich Fuchs, Ricardo Pinilla Burgos, Johannes Seidel, Enrique M. Ureña and José Manuel Vázquez-Romero. With an introduction by Erich Fuchs and Enrique M. Ureña. »Krause wrote on every aspect of philosophy«. 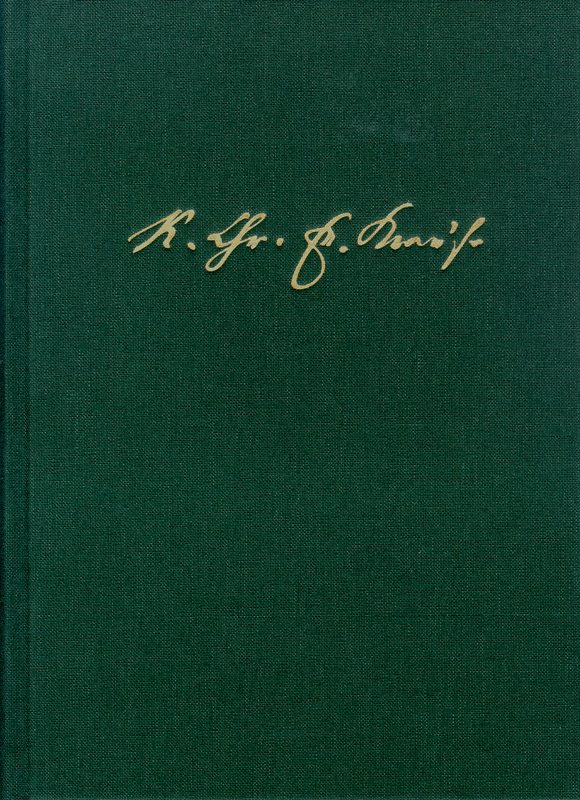 Friederich Ueberweg’s endorsement of the extraordinary philosophical variety of the works of Karl C. F. Krause appears in this book, which presents a compilation of the most noteworthy articles by Krause on Philosophy of Religion, Philosophy of History, Aesthetics and Theory of Music, Science of Language, Pedagogy and Mathematics. The texts selected have met two criteria: their valuable contribution to science and their practical endowment to society, both in Germany and abroad.